Cupcakes, fast food hamburgers, frozen TV dinners. We all know these aren’t the best foods we can be fueling our bodies with. But what about some of the items in your grocery store or refrigerator? Many foods that we consider healthy really aren’t. Even worse, these foods that we consume under the impression that they are healthy can be harmful to our bodies – and we eat them on a regular basis. Since the 1970s, countries worldwide have encouraged us to focus on making sure our meals were well-balanced. Remember the food pyramid? This concept of eating more bread, cereal, rice and pastas (the base of the pyramid) and less sugary foods, seemed like a good idea at the time and was taught in schools for decades as the right way to eat. Simply put, the food pyramid is not an accurate and conclusive guide to eating nutritious and healthy meals. Today, we know that we should be eating more fruits and vegetables, and less carbohydrates. Unfortunately, after decades of learning what is healthy, with the food pyramid as a guide, the definition of what is healthy and what isn’t is harder for the general public to define or understand. In addition, this confusion is further fueled by information overload and contradictory opinions and “facts.” It’s important to keep in mind that what is healthy for one person, isn’t what is best for another. Instead of heating up instant mac and cheese or grabbing something in the fast food drive thru, you decide to make a sandwich for lunch. Healthy right? Well, you might be wrong. Depending on which deli meats you use, you could be eating loads of artificial ingredients, preservatives, and more. Even lean meats, like turkey, can have some sneaky ingredients added to them when they are prepackaged. Before You Buy: Read the nutrition label on the back of the package. Lunch meat that is organic or grass-fed is a better option. Even better, go to your local deli and purchase freshly-sliced lunch meats. Stay away from processed meats like bologna, or those super high in sodium like ham. Through creative marketing, margarine has gotten the reputation that it is more heart healthy than butter, but this is not the case. Margarine contains trans fats, which are man-made through a process called hydrogenation, which converts vegetable oil into a solid by means of hydrogen atoms. Trans fats have been known to raise bad cholesterol levels (LDL) and increase the risk of heart disease. Before You Buy: Not all margarines are created equal. If you need to use margarine, select one that has no trans fats or saturated fats. If your recipe has a little wiggle room, try substituting for avocado butter or applesauce. Fruit juice, a popular drink at breakfast time and for young children, is not as healthy as it appears. With nearly the same amount of sugar as a soda, fruit juice has all the flavors of fruit, without all of the vitamins and nutrients, which are stripped away during processing. In addition, the juice lacks fruit’s fiber, which balances out the natural sugars in the fruit. Before You Buy: Ideally, you should skip the fruit juice aisle altogether and purchase whole fruits instead. If you have to have your morning OJ, purchase a juice that is low in sugar and limit the size of your morning glass. In addition to this buttery snacks being unhealthy, the bag microwaved popcorn is popped in is just as bad! 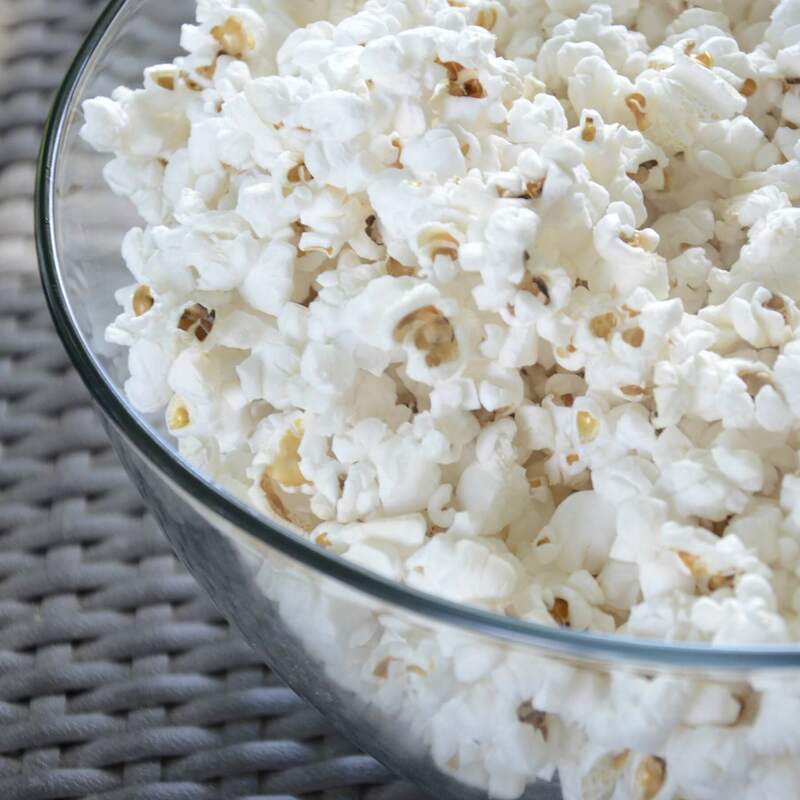 A majority of microwave popcorn bags are laced with a specific chemical that is defined by Food and Drug Administration (FDA) as a likely carcinogen. In addition to the popcorn’s artificial ingredients, GMOs and other additives, the bag alone is a good reason to skip the salty snack. Before You Buy: Stay away from microwavable popcorn. Instead, pick up a container of organic popcorn kernels and pop your own. That way, you can control what it’s cooked in and topped with. What we may consider healthy may not be. Make sure to always read nutrition labels and purchase whole, fresh foods, whenever possible.